Secretary of State Rex Tillerson signed off on the permanent plan for reduced staffing out of concern for “the health, safety and well-being of U.S. government personnel and family members." Cuba has repeatedly denied either involvement in or knowledge of any attacks. 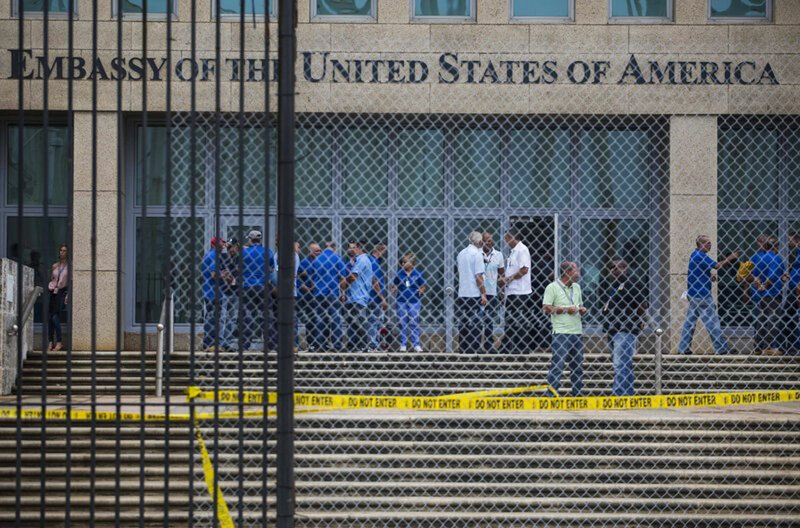 The United States said Friday it was making permanent its decision last year to withdraw 60 percent of its diplomats from Cuba, citing a need to protect American personnel from what the State Department calls “health attacks” that remain unexplained. In October, the department ordered non-essential personnel and all family members to leave Havana, arguing the U.S. could not protect diplomats from unexplained illnesses that have harmed at least 24 Americans. But by law, the department can only order diplomats to leave for six months before either sending them back or making the reductions permanent. The six months expire Sunday. So the State Department said it was setting a new, permanent staffing plan that maintains the lower level of roughly two-dozen people — “the minimum personnel necessary to perform core diplomatic and consular functions.” The department also said that the embassy in Havana would operate as an “unaccompanied post,” meaning diplomats posted there will not be allowed to have their spouses or children live with them in the country. Secretary of State Rex Tillerson signed off on the permanent plan for reduced staffing out of concern for “the health, safety and well-being of U.S. government personnel and family members,” the department said in a statement. “We still do not have definitive answers on the source or cause of the attacks, and an investigation into the attacks is ongoing,” the department said. Cuba has repeatedly denied either involvement in or knowledge of any attacks, and has said its own investigation into the illnesses has turned up no evidence of deliberate action. The United States has not accused Cuba of perpetrating the attacks but has said Havana holds responsibility nonetheless, arguing that such incidents could not have occurred on the small, communist-run island without the knowledge of Cuban officials.